A Branford mom says she found a black widow spider in grapes she bought at Stop & Shop. 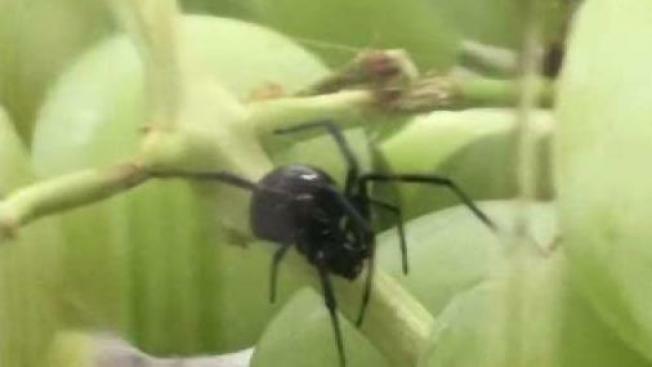 A mom in Branford, Connecticut, is warning fruit-lovers to be on alert after she said she found a venomous black widow spider in a package of grapes she purchased at the grocery store. She said she bought the grapes from the Branford Stop & Shop Monday morning. A few hours later she made the discovery while she and her 11-year-old son were in the middle of eating the grapes. Luckily it didn’t bite, and no one was hurt. She told NBC Connecticut that Stop & Shop offered to give her double her money back for the grapes. The grapes came from a company in California. NBC Connecticut have reached out to them and have not heard back.